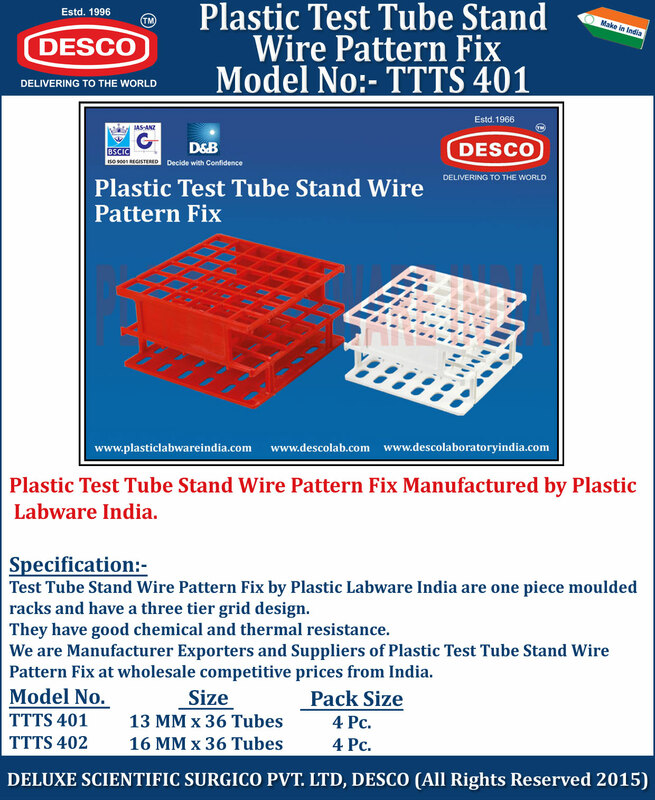 Test Tube Stand Wire Pattern Fix by Plastic Labware India are one piece moulded racks and have a three tier grid design. They have good chemical and thermal resistance. We are Manufacturer Exporters and Suppliers of Plastic Test Tube Stand Wire Pattern Fix at wholesale competitive prices from India. TTTS 401 13 MM x 36 Tubes 4 Pc. TTTS 402 16 MM x 36 Tubes 4 Pc.